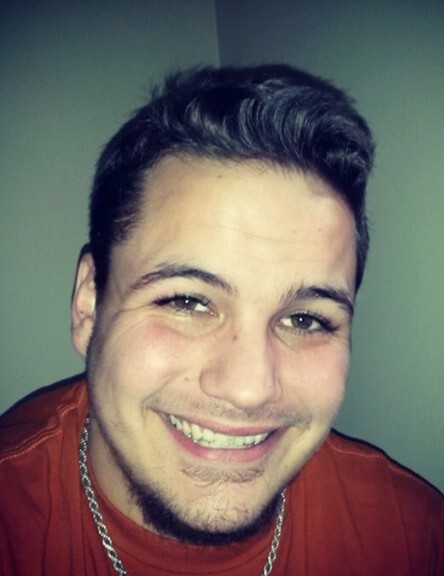 Travis M. Devericks, 24, of Elyria, passed away unexpectedly at his residence on Friday February 1, 2019. He was born in Cleveland on August 2, 1994. Travis resided in Elyria for the past five years and had previously lived in Olmsted Falls. He was a 2013 graduate of Olmsted Falls High School where he played football and wrestled. Travis spent his junior high years at Buckeye Schools. Travis enjoyed playing the guitar and ukulele, singing and martial arts. He also loved to be near water. Travis was a FUN LOVING UNCLE and loved spending time with his nieces and nephews. He was a big part of their lives! Travis is survived by; his mother, Debra Dieckman of Elyria; his father, Harold “Sonny” Devericks of Westlake; three sisters, Mandy Pack of Lorain, Angela Porubsky (Lance) of Wadsworth and Jessica Pack (Carl) of North Ridgeville; two brothers, Jeff Devericks (Angela) of Seville and Jonathan “Ziggy” Pack (Sarah) of North Ridgeville; nine nieces; two nephews; and by many aunts, uncles, cousins, friends, and his loving baby, Boss, the puppy of his life. The family will receive friends on Thursday February 7, 2019 from 5pm until the time of the funeral service at 7pm at the Liston Funeral Home, 36403 Center Ridge Rd., (at Stoney Ridge Rd. ), North Ridgeville. Carl “Buck” Ramsey will officiate the service.